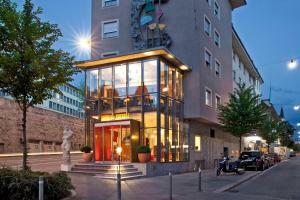 The du Théâtre Swiss Quality Hotel is a former theatre, just 300 metres from Zurich Main Train Station. The Central Tram and Bus Stop is right outside. Free WiFi is available. The La Suite lounge serves snacks and fine wines with a view over Zurich. The rooms at du Théâtre Swiss Quality Hotel feature cable TV, a minibar, a safe, and a bathroom.